Wanting to enjoy the tropical beach and blue sea? Planning a Hawaii trip this holiday? Hawaii’s natural beauty make it unique and attractive for travelers. 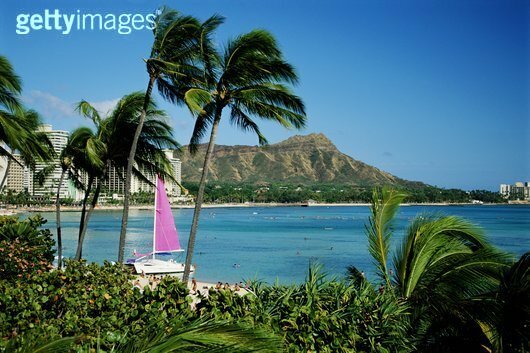 Here is your very Hawaii travel guide about how to get there and what should be prepared. The sun, the sea and the beach are marvelous in these islands. The culture in Hawaii is also very rich, and the people are warm and welcoming. Experiencing the Aloha life is always memorable and a holiday in Hawaii will always yield extraordinary memories. However, any traveler will tell you that without any preparation, a holiday to even the most glorious of paradises will turn sour. So, if you are thinking of going on a trip to Hawaii anytime in the near future, you should start preparing for it as early as now. If you are thinking of going to Hawaii, ask yourself if you really want to go there. Hawaii is a beautiful place, truly so, but if you are not up to going to Hawaii and you are just being forced into it, just forget about it and go somewhere else. You should always spend your holidays in places that you love. But once you have decided to take your next vacation in Hawaii, you have to figure out when you are leaving. You can go to Hawaii any day of the year and still enjoy the sun. There will be rainy days and there will be days that are hotter than usual, but nonetheless, the weather in Hawaii is always perfect. The way to go to Hawaii is to fly. If you are a do-it-yourself person, you can go ahead and make your own reservations for your flight and your hotel accommodations. You can also take advantage of the convenient services of a travel agent. It may be easier to have a travel agent do the bookings for you. Also, a travel agent may be able to secure some nifty discounts for you, which you can use for other things on your stay in Hawaii. In case you are wondering, you do not need a visa to stay in Hawaii if you are a U.S. or Canadian citizen. All you need to bring for show at the airport are your passport and a few ID cards. Casual clothing is a must in Hawaii. You rarely see people dressed in suits there, unless they are in a business conference. If you are going to Hawaii for a business conference, you should check out the dress code before you pack. But almost always, a stay in Hawaii always requires a casual getup, or business casual if you are there on business. Light, summer clothing ?T-shirts, shorts, light blouses, light skirts and lightweight denim ?with get you through your stay in Hawaii. It can be a bit chilly at night, so you should bring a light jacket or a sweater to protect yourself in the evenings. Swimsuits are essential in Hawaii. Always bring more than one because you will find yourself in the water a lot, and it would be more convenient for you if you have an extra swimsuit to wear while the other one is still drying. As for shoes, sneakers, loafers, sandals and other lightweight, casual footwear are fine. A collapsible bag that you can pack on your way to Hawaii, which you can use to bring your souvenirs back home. A camera with extra rolls of film, or extra memory sticks if you are using a digital camera. In case you did forget anything, do not worry about it. Whatever consumables you forgot, you can always buy them in Hawaii.